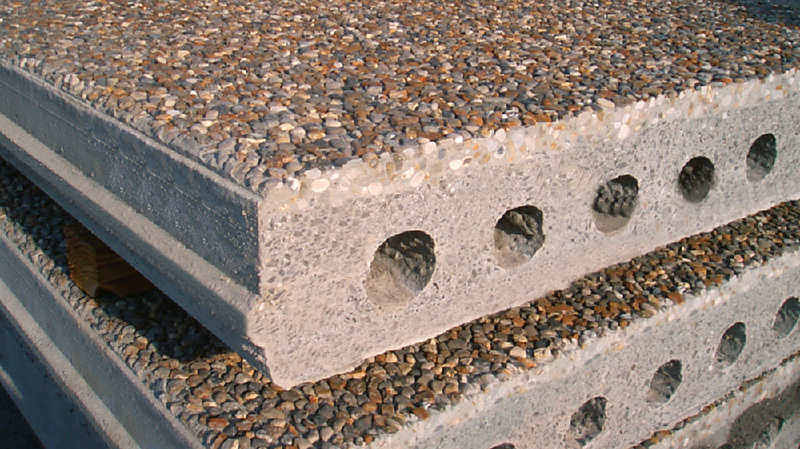 In residential, commercial or industrial building sectors hollow core slabs can be used as a wall element. The upper surface because the element is smoothed by the Slipformer meaning that the final element requires no further finishing, painting is only if required. 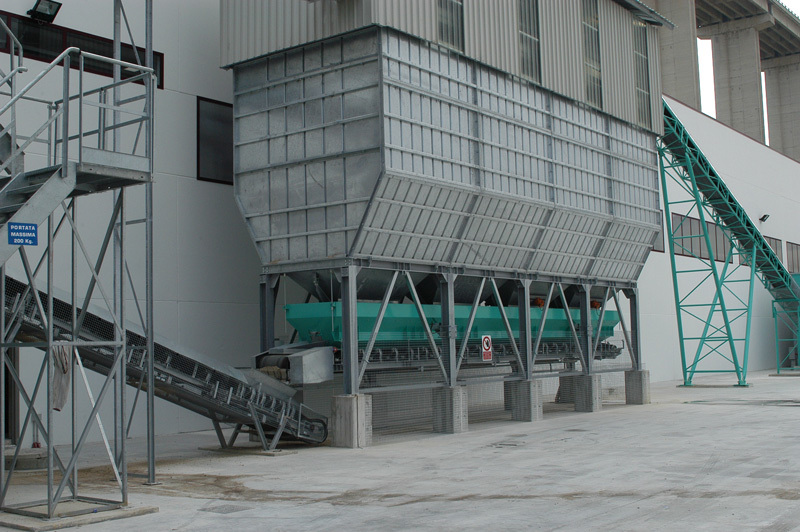 To improve the architectural aspect of the upper surface, the elements can also be manufactured with a finish incorporating different coloured aggregates using a special topping machine. 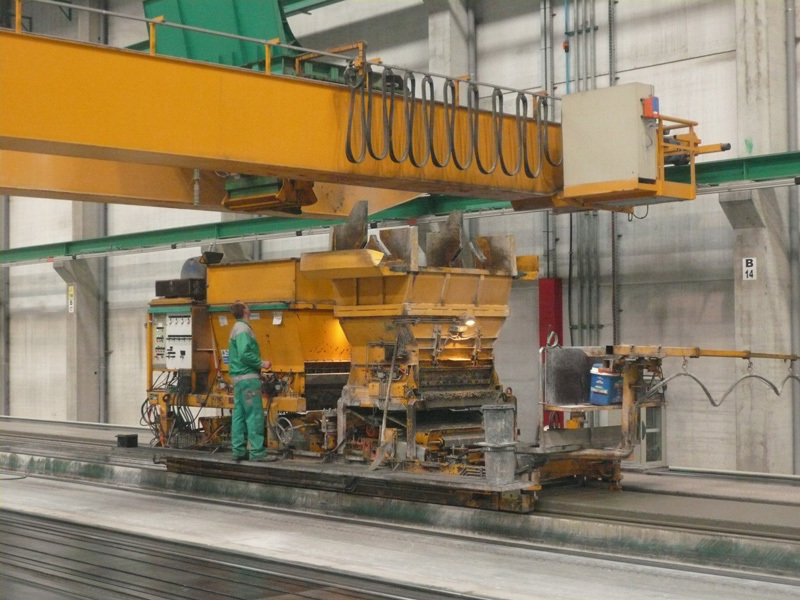 This allows the economic production of high quality wall elements. 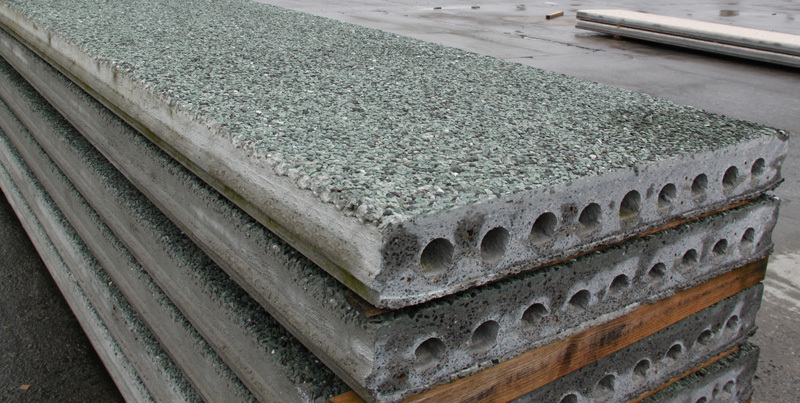 The elements can also incorporate insulating material between the base of the hollow core slab and the concrete topping to increase the acoustic and thermal properties. The production of this particular element is simple and cost effective and doesn’t require a large investment outlay on equipment. It can be manufactured on the same production bed as used for floor elements. 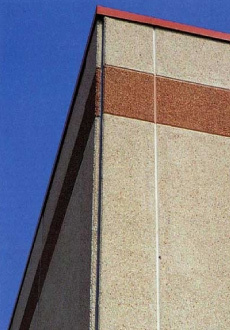 The thicknesses of both the elements and insulation can be varied as required in sandwich wall panels.